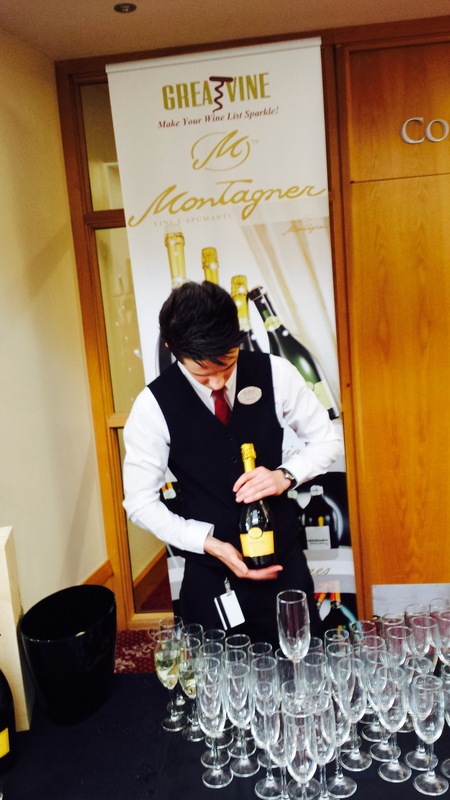 More than 450 of the Northern Ireland Hospitality Industry’s top professionals were treated to a welcome flute of the fantastic new Prosecco brand Montagner, which was launched on the evening. We did bring along double the amount that should have been required for everyone to have a glass each, but were besieged by requests for more as guests soon realised that this Prosecco was a different calibre of animal to any they had tasted before. We are well aware that the Prosecco in the market is not what we are used to drinking back in Italy and with more and more Italian tourists in our country pointing out the poor quality as well, we are delighted to be able to help to elevate this aspect of our tourism product, while also enabling the people of Northern Ireland to enjoy really good quality Prosecco. 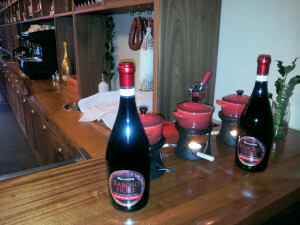 Montagner Prosecco is from a family owned Artisan vineyard in the DOC Treviso production zone in Motta di Livenza, but this producer also owns vineyards in Valdobbiadene where they produce a fantastic Prosecco DOCG Superiore and also in the coveted Cartizze production zone which is where the prized Grand Cru of Prosecco is produced. Cartizze is a 1,000 hectare hill where 170 different producers own land priced at over €1 Million per hectare, such is the perceived value of the Terroir. A small quantity of only 1 Million bottles maximum per year may be produced here between all of the producers. 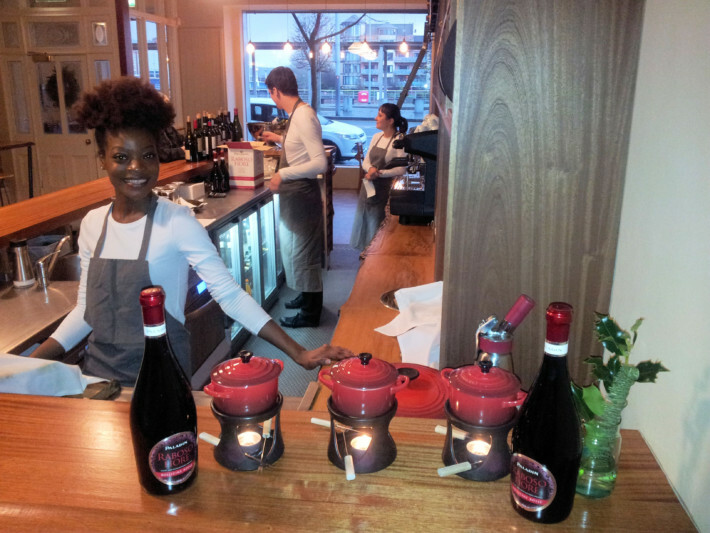 This means that GreatVine are the only importer offering the entire range of Prosecco from the D.O.C. (Denominazione di Origine Controllata) through the D.O.C.G. (Denominazione di Origine Controllata e Guarantita) to the Cartizze which consumers may now purchase at Wineworks in Saintfield & Newtownards. 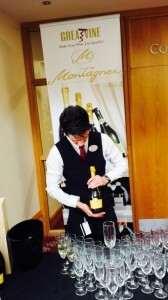 Montagner DOCG Prosecco can be purchased from the wine list at OX, The Old School House Killinchy, The Boat House in Bangor, Uluru in Armagh, Raymond McArdle’s new restaurant Maisons in Rostrevor and very soon at The Merchant Hotel in Belfast with many more on the way. When vines are harvested by hand as opposed to by automated heavy machinery which causes terrible damage to the vines, it considerably enhances the aromatics in the wine. 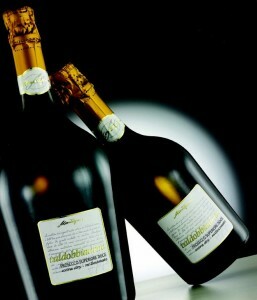 This Artisan quality Prosecco is also from a single vineyard, a single grape (100% Glera) and a single year of vintage. 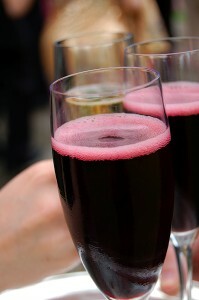 Most industrial scale Prosecco is often produced outside of the authorised production zone by mass market producers who buy grapes from a variety of uncontrolled sources, blend the Glera grape with other permitted grapes to increase their production capacity and also use Prosecco that has been left over from previous years to expand capacity. Of course because of the production method used to make Prosecco in steel tanks – known as the Charmat method, Prosecco must be consumed while young and fresh 1-2 years maximum. 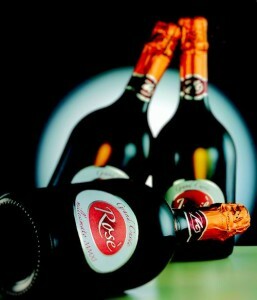 Unlike Champagne it cannot age. 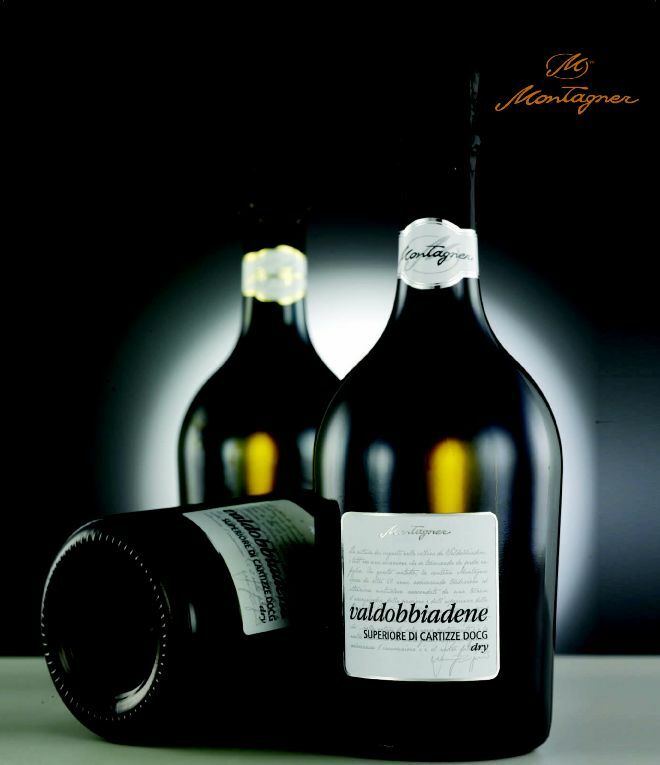 The less time Prosecco spends in the bottle the better, which is why buying from a winery that re-bottles a few times a year is also important. Unless the Prosecco is designated as a ‘Millesimato’ the producer is not obliged to print the year of vintage on the label (and many would run from doing so!) therefore it’s only if you buy a ‘Millesimato’ that you know what age the Prosecco you are intending to serve to your customers is . It’s the only way to know that what you are serving is not way past its sell by date. 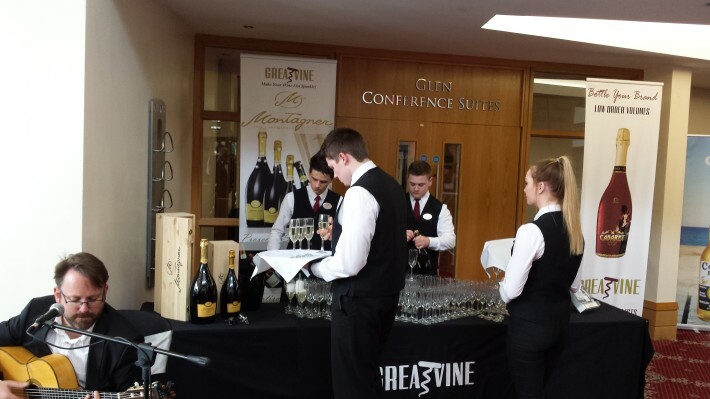 GreatVine offer FREE Prosecco training for the hospitality industry in Northern Ireland. 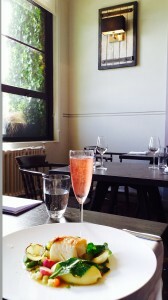 We aim to dispell the myth that all Prosecci are created equal. We want to make your wine list sparkle and help you increase your Prosecco sales. 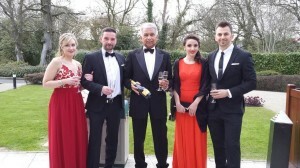 Already in the UK market supermarkets report selling more Prosecco than milk. 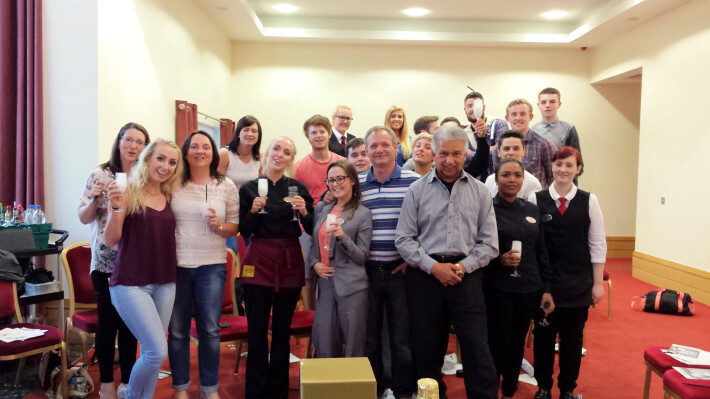 It’s a very important profit opportunity, which we can help the Northern Ireland hospitality industry to maximise. 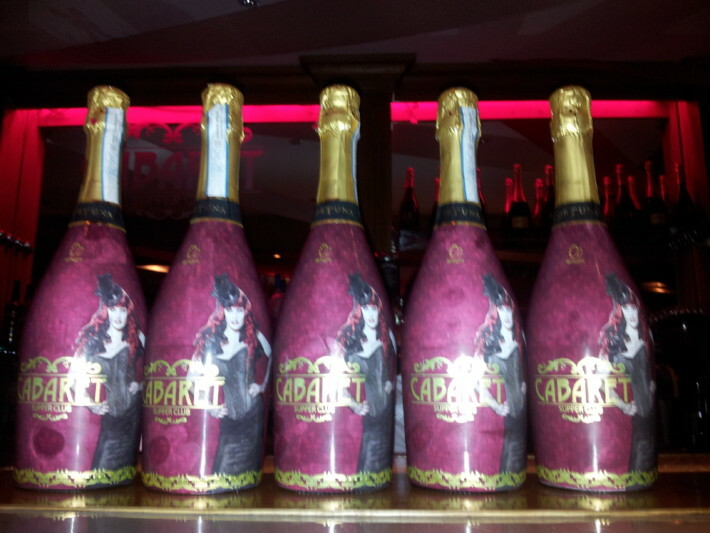 If you like glitz, glamour and quality Prosecco look no further than Cabaret Supper Club & AM:PM in Upper Arthur Street, where GreatVine have supplied these exquisitely beautiful bling bottles of premium quality Prosecco wrapped in a personalised and branded bespoke design featuring a ravishing red head in Cabaret Costume. 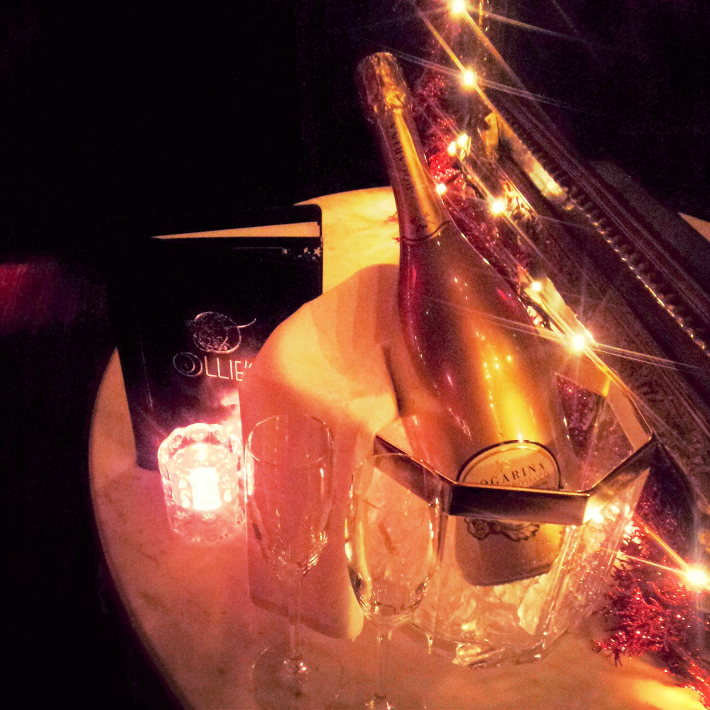 Enjoy a bottle at one of the amazing shows on at the Cabaret Supper Club or with lunch, dinner or an exquisite afternoon tea at AM:PM – As the in-house promotion for this Premium Prosecco says. Yes you can take me home when I am consumed! So you can keep the decorative bottle once you’ve enjoyed the superb liquid inside. You can also buy a bottle as a gift for friends or family supplied with gift box, or just to enjoy at home. You will find it on the website within the Gift Guide or on sale at the venue. Tell us what you think? 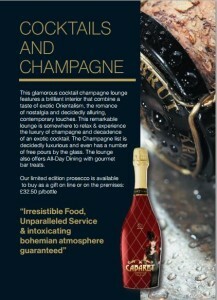 Know any other venues who should have a gorgeous branded bottle of great quality Prosecco? Let us know?!! 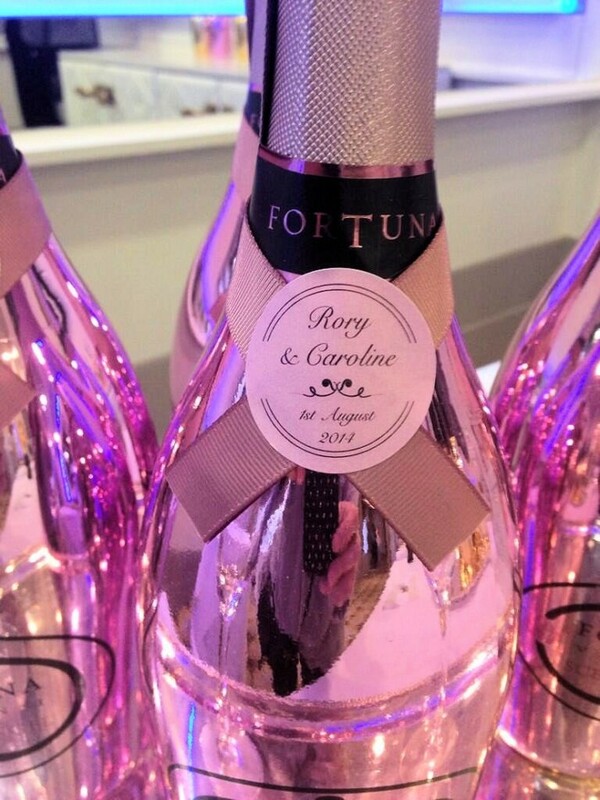 Looking gorgeous today at The Merchant Hotel Wedding Showcase, was Fortuna Vini Gold and Fortuna Vini Scent of Angel specially personalised for the upcoming wedding of Pro Golfer Rory McIlroy and Tennis Professional Caroline Wozniacki. 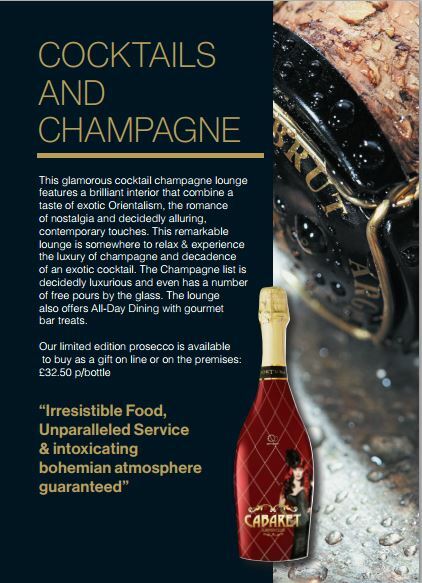 Ollie’s Nightclub in the prestigious 5 star Merchant Hotel in Belfast are now offering a VIP package that includes a fabulous 1.5 Litre Golden Magnum of Dogarina Prosecco that will deliver 10 glasses of this high quality Prosecco DOC Treviso Extra Dry. 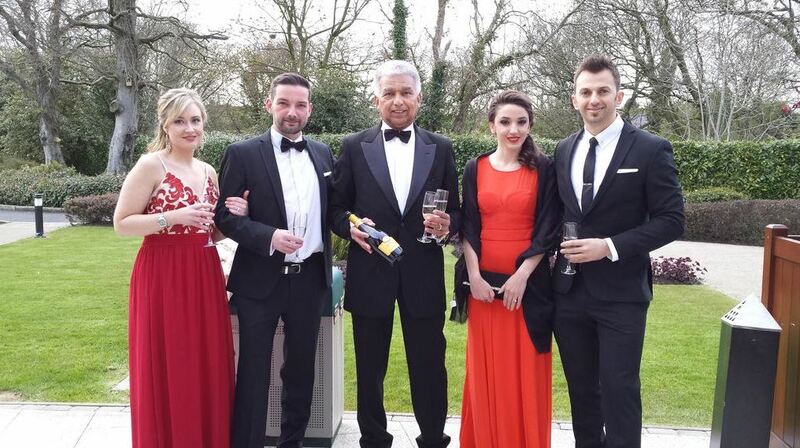 Celebrated with two spectacular red carpet events, the 10th Anniversary of the fabulous ZEN Restaurant in Belfast was the party of the year so far. 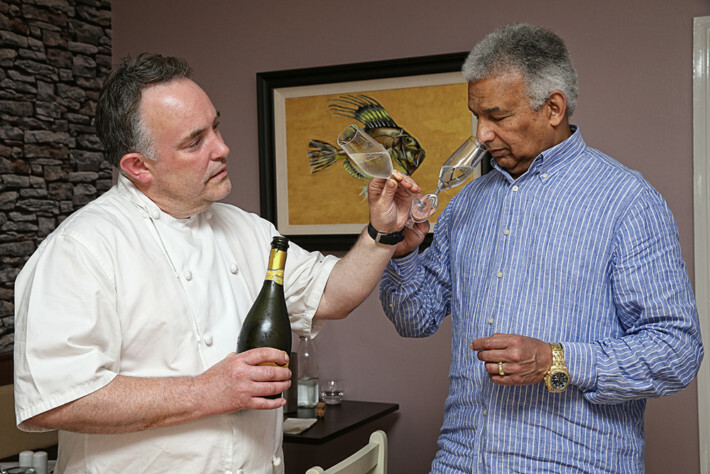 Marco Marro, Head of Food and Beverage at The Merchant Hotel in Belfast welcomes Dogarina Prosecco supplied by Thomas Soliman of GreatVine (or as some call him ‘The Merchant of Venice’) as the new house Prosecco for his prestigious Hotel. We’re delighted with the positive coverage of GreatVine in this month’s hospitality trade magazines.